I love how this is so easy for busy families to digest. There was so much that I liked about Advent in the Box. I loved the hands on activities and that all the supplies were in the box that you needed. The advent in a box quickly became a favorite family activity in our house. As with any step family, we are always looking for ways to connect across the miles. Sharing box in VA and one in CO afforded us the opportunity to connect across the miles and continue to share our passion for Christ. I just wanted to tell you how thrilled my families were with the activities. They seemed to hit all learning styles of the children and the feedback from my families was very good. We did the advent boxes for the first time this year and our families loved it! Looking forward to incorporating Lent in a Box and seeing what they think. This is such a great tool if anyone is on the fence. We noticed that in this particular outreach many grandparents took a box for their children/grandchildren. A great way to reach out to the next generations. The depth, yet simplicity of it. I loved the content and the shopping list! Lent in a Box…if you haven’t ever tried Advent in a Box, then you need to check this out now! The products from this organization are easy to prepare, fun and engaging for all ages, and great learning tools for churches and families!! We 💜 Family Ministry Tools and especially its creators! Our family has used Advent in a Box for the past few Advent seasons. It gives us a time to come together as a family and reflect on the season as well as have some fun together. The projects are easy and we have some wonderful family keepsakes from these boxes. 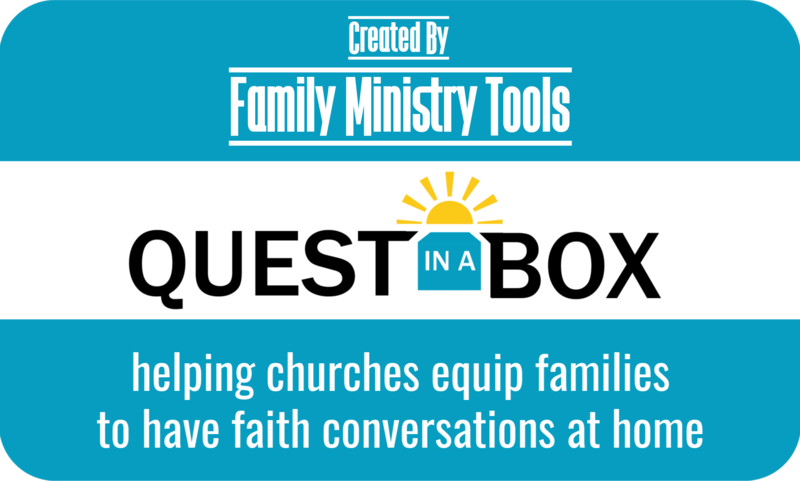 This is a great tool to reach not only families within the church but also those in the community. I am currently making 200 boxes to share with the church members, children attending our children’s center and some extras for members to share with their friends. We are very excited to be using the Family Ministries Tools Advent in a Box this advent season. Robin introduced Advent in a Box to Deep Creek United Methodist Church in Chesapeake, VA when she served as our Program Director. These boxes were an instant hit with the families of our church and children’s center. They served as a way to bring families together during a busy time of the year and helped them focus on the true meaning of Advent and Christmas. The activities had families talking and thinking about the coming of our Lord. We will be using them again this year. What a great way to disciple generations together! Loved the list of supplies with the direct link or item number to purchase on Amazon. This was a life saver! As a youth leader I enjoy talking to the kids about what they have learned. This well thought out, creative resource for families provides an easy but enriching process for observing the season of Lent and exploring its themes of temptation, perseverance, repentance, and mercy; and practicing the disciplines of prayer, fasting, and almsgiving. LOVED that it could just be downloaded – a huge time saver. We loved the Advent in a box, and were very excited to open and do the next day. It is a wonderful family activity during the most wonderful season of the year!